Old paper £5 notes have now been withdrawn by the Bank of England and are not accepted after 5th May 2017. Don’t worry, they can still be paid in to your bank, building society or post office. 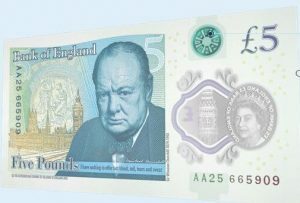 Find out more about the new polymer ‘Winston Churchill’ £5 note plus the new secure £1 coin introduced in March.